Psychotria viridis AKA Chacruna is found throughout the Amazon and in the tropical regions of both hemispheres. Chacruna is a relative of the coffee plant. 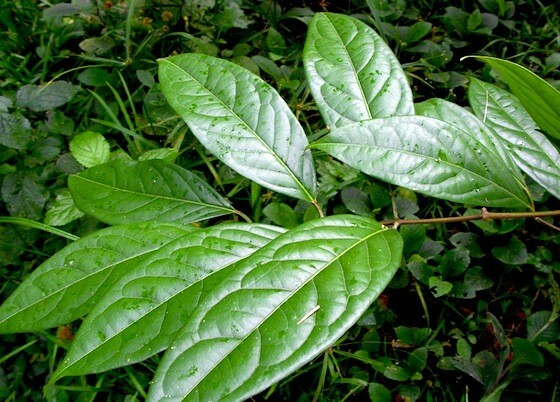 Chacruna is the most common companion to Banisteriopsis Caapi to produce Ayahuasca (Yage, Yaje), a sacred medicine used for millennia in order to enter the sacred supernatural world, to heal, divine, and worship. Sections of Banisteriopsis Caapi vine are boiled with leaves from Chacruna. The use of ayahuasca and other plant teachers for visionary experiences as well as for healing purposes appears to be ancient. According to tradition, yage contains a sentient intelligence which reveals guidance; the proper steps to follow in case of emotional or psychological problems, and even remedies that may be used for healing.